International economics is once again at the forefront of foreign policy. Accounts of serious trade disputes, a U.S. effort to derail a new gas pipeline from Russia to Europe, stiff new economic sanctions on Iran and concern about imports of automobiles fill the front pages of American dailies. It sometimes feels like the 1980s all over again. But this time, the much higher public salience of foreign policy issues amid sharp polarization, accelerating climate change, the growing role of China in the international order and radical changes in communications technology (including social media) put the old issues in a new perspective and challenge old ways of doing business. It is a good time, therefore, to consider how the Foreign Service should recruit, train and nurture a strong cadre of economic officers for the decades ahead. The key distinction between a Foreign Service officer in the economic career track and an international economist is this: The core responsibilities of economic officers are not solely, or even principally, about studying economic developments. While these FSOs must understand what is happening economically in whatever area of the world (or multilateral or plurilateral organization) they are assigned, that is not enough. The FSOs should also be in a position to fashion and carry out strategies to advance the national interest and build relationships to maintain U.S. economic interests. Outcomes matter in diplomacy. To my mind (and this may be a heretical thought) economic officers must be, first of all, accomplished political officers, in that they must understand how governments make decisions about issues that affect U.S. foreign policy and economic interests, and divine what political forces are being brought to bear to affect the policies of America's partners, or adversaries. Such insights and understandings are vital to devising strategies to advance U.S. foreign economic programs and interests. Also, economic officers should have all the reporting, public speaking and representational skills of any political or public diplomacy [JB emphasis] officer, coupled with a strong understanding of economic issues. While economic FSOs should be able to engage confidently on inflation or exchange rate policy with a Central Bank official, they don't need to build a model themselves. But they should be able to figure out how to secure a commitment in a trade agreement, negotiate an international air services accord, help a U.S. company land a major trade deal or fashion congressional testimony. Economic officers who have political and public diplomacy skills are also ideally suited to make the connections and frame the broad perspectives that today's world requires. The ability to integrate political, economic and regional insights is what the next generation of U.S. foreign policy will need, and economic officers with wide expertise are well positioned to make great contributions at entry- and mid-level positions—and, of course, as senior leaders in the future. As the Foreign Service Institute trains the economic officers of the future, and as senior officers mentor the leaders of the next generation, such insights should be kept in mind. Economic officers should get the training and opportunities in writing, reporting and political analysis that political officers get, even as they develop deep understanding of the nuances and foundational concepts of trade, monetary policy, environment and science. Just as every FSO should understand the basic laws and regulations affecting visa adjudication and American Citizen Services, so too should every economic officer (at least, and maybe other cones as well) understand the framework of sanctions policies. What is a Special Designated National? What kinds of goods require International Traffic in Arms Regulations licenses? For this, the Financial Times newspaper or The Economist magazine are better reading material than the Journal of the American Economic Association. And lest we forget, language skills are as relevant for an economic officer as they are for a political officer to pick up cultural nuances (even though many host-government economic officials often have good English skills). As with overseas service, the objective should be to learn how to get things done, including in the interagency process, rather than to admire problems. Again, in order to succeed, writing, advocacy and reporting skills are vital, along with economic expertise and literacy. But even here, the comparative advantage of economic officers in the interagency process can be misunderstood. The advantage of having economic officers in Washington—and State involvement, in general, on economic issues—is the insight they have into overseas developments, not their fluency in Washington-speak. 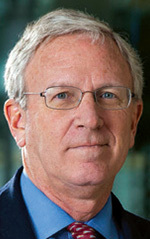 When an economic policy discussion turns, for instance, to what the Japanese might do with respect to a U.S. initiative or unexpected development, the meeting should turn to the State economic officer, who will explain it objectively based on experience on the ground and based on outreach to colleagues in the field. But the meeting will only do that reliably if the State officer has done the homework and is in touch with economic-track colleagues in the field. Too often, economic officers in Washington assignments, especially in the main EB offices, seek to become junior Treasury, USTR, Department of Energy or Federal Communications Commission (and the like) domestic agency officials, based on their participation in interagency decision-making and consultative processes. But that is not the best strategy. The real value added in having the State Department in the economic field, as elsewhere, is that the department has a worldwide network of economic officers in the field who know the issues, constraints and local contexts. Other agencies may believe that the United States just needs to lay down policies to its partners and they will respond. But experience has shown that skills in advocacy and linkage make a difference. If you agree that context, contacts and the right spin make a difference in accomplishing negotiating goals, helping businesses with problems or in stopping bad behavior, you need a State economic officer on the case. The principles for promotion in the economic track should be the same as for any other track: great potential for leadership, strong interpersonal skills, and substantive experience and knowledge. As far as the latter is concerned, I don't think economic officers are, or should be, a breed apart. As I have noted, economic officers should not see themselves as analytical economists, but rather diplomats charged with advancing U.S. interests in the economic, environmental, scientific and related fields. Economic officers must be literate in economics and in policy, and knowledgeable about business trends. Economic officers should understand foreign government systems and political trends that affect the ability of governments and interest groups to cooperate with the United States. If officers think this way, they may impress ambassadors and senior officials, and lay the groundwork for promotion to the Senior Foreign Service and assignment to senior leadership positions. If, on the other hand, economic officers think, or are led to believe, that promotion is solely a factor of their knowledge of the technical stuff, the department will treat them as subject-matter experts rather than officers. Perhaps more than any other track, economic officers get experience in negotiations on behalf of the nation, one of the highest callings of the diplomacy profession. And when it comes time to do something else, Foreign Service economic experience is more easily transferable to the private sector than many other specialties. The State Department's economic expertise is vital to advancing U.S. economic interests worldwide and is very rewarding for the officers, as well. As far as the latter is concerned, consider the advantages of the economic track: officers who successfully help American business succeed or take down foreign trade barriers make an appreciable difference to American communities and businesses. Few other areas of foreign policy have such an immediate and direct connection to communities and constituencies in the United States. Charles Ries, a Foreign Service officer from 1977 to 2008, served as ambassador to Greece, principal deputy assistant secretary for European Affairs, coordinator for Economic Transition in Iraq, and minister-counselor for Economic Affairs in London and at USEU. He is currently vice president, International at the non-profit RAND Corporation. This commentary originally appeared on Foreign Service Journal on January 7, 2019. Commentary gives RAND researchers a platform to convey insights based on their professional expertise and often on their peer-reviewed research and analysis.